'I bring from the East what is practically an unknown religion.' With these words Macauliffe began his famous and enduring work The Sikh Religion, published in six volumes by the Clarendon Press in 1909. The Sikhs,' he continues, 'are distinguished throughout the world as a great military people, but there is little known even to professional scholars regarding their religion.' Macauliffe's mission was to remedy that lack of knowledge and understanding. The Sikh Religion was a work which had involved for him more than fifteen years of labour, most to it carried out at his residence in Amritsar. It had also produced a series of disappointments, as his persistent efforts to gain patronage from the Punjab government met with either a parsimonious response or by the total rejection. Macauliffe died four years later, an impoverished and bitter man, recognition denied and his objectives unrealized. of most Sikh scholars and the implicit acceptance of most members of the Panth (the Sikh community). It is also the view of the Sikh religion and Panth which most foreign observers assume to be the correct one. The Sikh religion is a completely independent religion in its own right; and Sikhs of the Khalsa are the only orthodox and sufficient representatives of that faith. Macauliffe's work has played a considerable part in this process. He may have died unfulfilled, but fulfillment in abundance has certainly followed his death. This being the case the paucity of scholarly studies of Macauliffe's contribution comes as a surprise. Harbans Singh has contributed a study of his life, very admiring and very brief.1 The respectful nature of the treatment is entirely understandable, for Harbans Singh comes from the school of scholars who were raised on Tat Khalsa principles and who had learnt to cherish the contribution of Macauliffe. The Tat Khalsa (the 'pure' Khalsa) was the radical section within the Singh movement, the reformist group which during the latter decades of the nineteenth century and the first two of the twentieth succeeded in imparting a new spirit and a new interpretation to the Panth. It was with members of the Tat Khalsa that Macauliffe had been particularly associated and it was entirely natural that his memory should be greatly venerated by its later descendants. This veneration makes it difficult for those who have been raised on Tat Khalsa principles to critically evaluate his work, though it can produce a lively account of his life story. Harbans Singh produces just such an account. It means, however, that we are left with only one brief work which digs deeply into the sources relating to Macauliffe's career and which produces an accurate assessment of his contribution. This is a chapter by N.G. Barrier in a collected work, the chapter entitled Trumpp and Macauliffe: Western students of Sikh history and religion.2 Professor Barrier is currently working on a book dealing with Singh Sabha period in Sikh history and we can expect that his highly perceptive insights concerning Macauliffe will be contained within it. 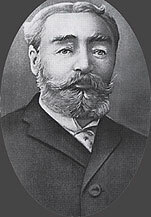 Macauliffe was born in Ireland in 1837 and received his schooling in Limerick, followed by Queen's College, Galway. In 1862 he joined the Indian Civil Service and was posted to the Punjab. None of the sources which I have seen mentions a wife. In 1882 he became a Deputy Commissioner and two years later was appointed a Divisional Judge. There is no evidence that he was interested in the work of the orientalists located in Lahore, though he may well have nutured a curiosity in the beliefs of the people for whom he wasresponsible. His one published work from this early portion of his career was a description of a visit to the major shrine of the semi-legendary saint Sakhi Sarvar in the Suliman Mountains. This produced an article in an 1875 issue of the Calcutta Review,3 a descriptive work which indicated the author's interest in his subject but seemed well removed from his later fascination with the Sikhs. In 1880-1, however, there appeared a series of articles in the same journal which indicated that the fascination had now gripped him. The first of these articles was The Diwali at Amritsar', followed soon after by The Rise of Amritsar and the Alterations of the Sikh Religion' and The Sikh Religion under Banda and its Present Condition'. These marked an important stage in Macauliffe's development, though all the views which they expressed were not yet those which characterized his later life. In some senses though they were indeed the same. Macauliffe had become aware of the importance of the Sikh people and these articles manifested a desire to understand them which was never to leave him. They were a people who were not understood by their British rulers and Macauliffe was concerned to impart an understanding to them and to other westerners who shared an interest in these remarkable people. Macauliffe also showed both the strengths and what may by regarded as the weaknesses of his approach. Possessing a fluent pen he was able to present his material in a very attractive manner. He was not particularly strong in terms of linguistic ability, though later he was able to overcome this to a considerable extent by circulating his translations amongst a group of traditional Sikhs whom he had gathered to help him in Amritsar. At this stage there was no pretence at original scholarship. Macauliffe utilized the contributions of other writers on the Punjab (men such as M'Gregor and Cunningham) and set down for the enlightenment of his readers what he believed to be the truth concerning these inadequately understood people. In these respects he was generally in accord with the approach which was to underlie his later work. In other respects, however, his views differed from what they were to become. In his early opin-ions Macauliffe shared the current view that Nanak was strongly influenced by his Hindu background and that the Gurus were not endeavouring to separate the Sikhs from their Hindu roots. This was a view that he was later to renounce, but in the early 1880s he still held it. He still regarded Sikhism as evolutionary, with the deci-sion of Guru Gobind Singh to establish the Khalsa being a responseto the physical dangers confronting his people. It represented a be-lief which the Brahmans regarded as heretical. Just as they had suc-ceeded in swallowing up Buddhism, so too the Brahmanical boa constrictor was winding its coils around Sikhism and would even-tually squeeze it to death. The boa constrictor proved to be a fa-vourite symbol for Macauliffe, though the nature of the intended victim was to undergo significant change. This was the condition in the early 1880s. 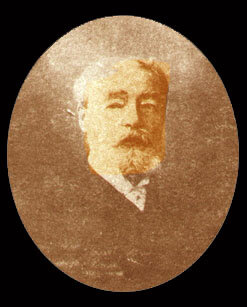 Macauliffe's opinions however, were rapidly changing, and the principal cause was his association with a group of Sikhs who firmly believed that the conventional interpretation of the Sikh religion was altogether mistaken. These Sikhs, as we have seen, belonged to the Tat Khalsa. In 1873 some Sikhs had become alarmed at what they regarded as the threatened status of the Panth and had met in Amritsar to form the Singh Sabha. The dominant group within Amritsar comprised those who wanted reform but reform along the inclusive lines which characterized the Sikhism of earlier days. The Sikhism which they favoured was one which drew inspiration from the Vedas and Hindu epics, and no clear difference between Sikhs and Hindus was recognized. Even the worship of idols was acknowledged if people who called themselves Sikhs wished to practise it. These were the group which came to be called the Sanatan Sikhs, conservative in their views and harking back to the Sikhism they had known. They were soon to be confronted by the Tat Khalsa, radical Sikhs centred in Lahore and influenced by western education. Sikhism was for them not an inclusive faith. It was definitely exclusive. Guru Nanak had founded the faith as an entirely separate and independent one, in no way dependent on Hindu tradition. One of the most prominent members of the Tat Khalsa, Kahn Singh Nabha, compiled a book of proof texts and in 1898 issued it under the title Ham Hindu Nahin, 'We are not Hindus'.5 Kahn Singh was not only a prominent member of the Tat Khalsa. He was a also close friend of Macauliffe's and an intimate adviser as Macauliffe's opinions of the Sikh religion took final shape. prefatory essays. Partly because of the wooden nature of his translation, but more particularly because of his outspoken and insulting comments, Trumpp's work never won acceptance among the Sikhs. To the Tat Khalsa it was anathema in that it laid firm stress on what Trumpp regarded as the clear evidences of Hindu influence. A reliable translation would have to be provided in its place and this Macauliffe set himself to do. He gathered around him a selection of traditional scholars of the Adi Granth and set to work, circulating portions of his translations to his informants and revising his drafts in accordance with their suggestions. As the work proceeded Macauliffe widened the scope to include narratives to the lives of the ten Gurus, together with those of the Bhagats.6 For these he also relied upon the interpretation of those with whom he was closely associated, with the result that his final work mirrors exactly the views of the Tat Khalsa reformers. Sikhism was no longer to be seen as an outgrowth of Hindu tradition. There were certainly features within it which Hindu India also acknowledged (notably a belief in transmigration), but the Sikh faith should be viewed as an entirely new religion, distinguished be superior beliefs and a high ethical content. Finally the great work which Macauliffe had been preparing was ready for the press. In 1908 the manuscript of Tlie Sikh Religion: Its Gurus, Sacred Writings and Authors was delivered to the Clarendon Press and Kahn Singh Nabha, his dose associate, accompanied him to England to help check the proofs. The work was finally published in 1909 as six volumes bound in three.11 In Professor Barrier's words, 'Macauliffe gave Sikhs and the world a readable, popularized, but very uncritical account the early evolution of Sikhism'.12 It may have been very uncritical (it undoubtedly was), but its influence has been profound. No other work has so effectively instructed western readers about Sikhism,with the result that the Tat Khalsa interpretation of the Sikh faith and community has been firmly fixed in the western understanding. The Sikh religion is a unique religion and the Khalsa represents its true form. Any attempt to demonstrate that the situation is rather more complicated than this must expect to encounter rugged opposition. For Macauliffe the publication of The Sikh Religion marked the latest in a catalogue of little help or outright rejection. The Punjab Government and the Government of India refused to sanction the work and the latter's offer of a contribution of Rs. 5,000 was indignantly rejected as paltry in the extreme. Sikhs were loud in their praises, but fearing the loss of government patronage the wealthy amongst them held back from financial donations. The result was that Macauliffe had to spend a considerable sum from his own pocket in order to see the work through publication. 1. Harbans Singh, 'English Translation of the Sikh Scriptures-An Arduous Mission of a Punjab Civilian' in K.S. Bedi and S.S. Bal eds, Essays on History, Literature, An and Culture, (Delhi: Atma Ram & Sons, 1970), pp. 139-44. 2. Historians and Historiography of the Sikhs, ed. Fauja Singh (New Delhi: Oriental, 1978), pp. 166-85. 3. The Fair at Sakhi Sarvar', Calcutta Review, Vol. uc (1875), pp. 78-101. For an account of Sakhi Sarvar and of the importance of the cult in the late nineteenth century see Harjot Oberoi, The Construction of Religious Boundaries: Culture, Identity and Diversity in the Sikh Tradition (Delhi: Oxford University Press, 1994), pp. 147-60. 4. Calcutta Review, Vol. uoci (1880), pp. 257-72; Vol. LXXII (1881), pp. 48-75; and Vol. um (1881), pp. 155-68. 5. For an excellent account of the division within the Singh Sabha see Harjot Oberoi, The Construction of Religious Boundaries, particularly Part II. 6. The Sant poets whose works also appear in the Adi Granth. 7. The Holy Writings of the Sikhs (Allahabad: Christian Association Press, 1900), p. 30. 8. A Lecture on the Sikh Religion and its Advantages to the State (Simla: Superintendent, Government Central Printing Office 1903), p. 28. Reprinted in M. Macauliffe, et. al., The Sikh Religion: A Symposium (Calcutta: Susil Gupta, 1958), pp. 1-53. 9. How the Sikhs became a Militant People (Paris: Ernest Leroux, 1905). Reprinted in The Punjab Past and Present, Vol. xvi-n (October 1982), pp. 484-504. 10. The portions which were published were Japji, Rahiras or the Evening Prayer of the Sikhs, Anand and the Sabd of Guru Amar Das, The Arati and Sohila of the Sikhs, and Asa di Var, published between 1897 and 1902. His Life of Guru Teg Bahadur (Lahore: author) followed in 1903. 11. The same Gurmukhi font, apparently fashioned in wood, which was used for the Adi Granth quotation on the title page was later used on the dedicatory page of my Guru Ndnak and the Sikh Religion, published by the Clarendon Press sixty years later. In 1968 the font presented a dated but thoroughly satisfying impression. 12. N.G. Barrier in Historians and Historiography of the Sikhs, ed. Fauja Singh (New Delhi: Oriental, 1978), p. 184. 13. Macauliffe, 'How the Sikhs became a Militant People', in The Panjab Past and Present, Vol. xvi-n (October 1982), p. 504.